Oh Deer! Dit is een geweldig cadeau voor een hert liefhebber: A5 Notitieboek Hert op mooi groen gerecycled papier. Creme papier met grijze lijntjes, een ideaal boekje om altijd bij de hand te hebben. 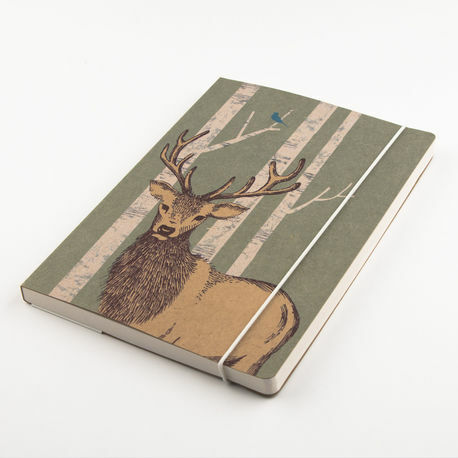 Featuring an elegant stag image, this notebook has been designed in partnership with the Woodland Trust, with a donation to the Trust having been made for every book. This A5 notebook is filled with 192pp if cream paper with grey lines. 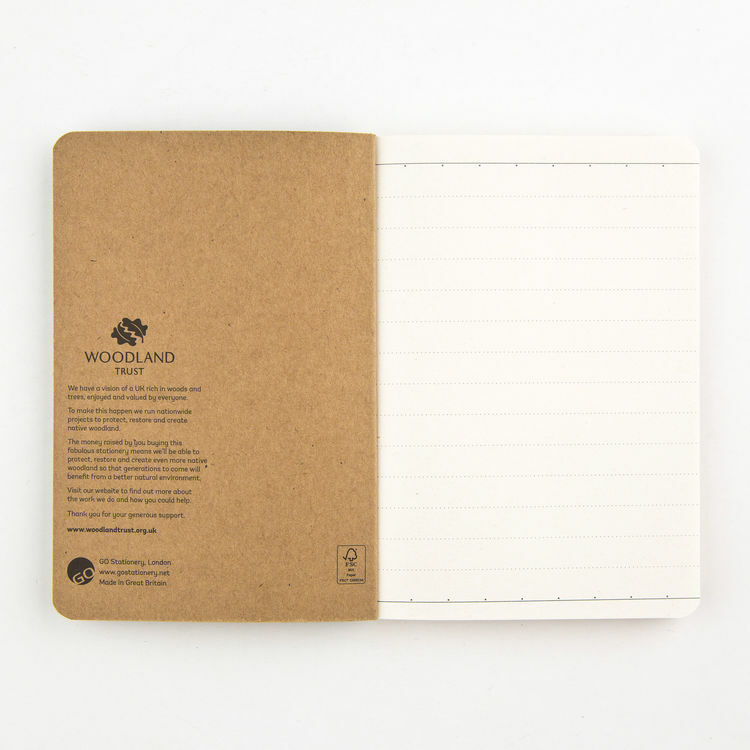 The cover is printed onto thick laminated card, and perfect bound for clean finish with the addition of an elasticated band to keep all your notes safe.